Won the consolation heat of the 100 breast with a personal best swim of 1:00.15 at ACCs…also placed 10th in the 200 breast with a career best of 2:10.57…placed fifth in the 200 breast (2:12.10) after swimming a personal best in prelims at 2:11.92 at the GT Invite…was 18th in the 200 IM (2:02.46) after posting her best time in prelims at 2:01.42 and tied for fifth in the 100 breast behind a career best of 1:01.02…was the runner up in the 100 breast (1:03.01) before winning the 200 breast (2:16.98) vs. GT and Pitt…was third in the 200 breast (2:17.03), fifth in the 200 IM (2:08.01) and fourth in the 100 breast (1:03.54) in the win at No. 13 Minnesota…took third in the 100 breast (1:02.60), fourth in the 200 breast (2:16.81) and also competed in the 200 IM (2:08.89) in the win over Arizona State…was fourth in the 200 breast (2:16.43) and 100 breast (1:02.42) against No. 10 UF…swam the 100 fly (59.54) and 400 IM (4:31.56) at the quad meet. A three-time NCSA Junior National gold medalist…a Virginia High School 6A North A Finalist in 2013 and 2014 in the 100 breast..is the school record holder in the 100 breast and 200 IM and is a Washington Post All-Metro honorable mention in 2014…a member of Nation’s Capital Swim Club – the same team as current world record holder Katie Ledecky she was awarded the Coaches Award in 2012-13 and the Iron Horse Award for her dedication to the sport in 2014…a national qualifier. 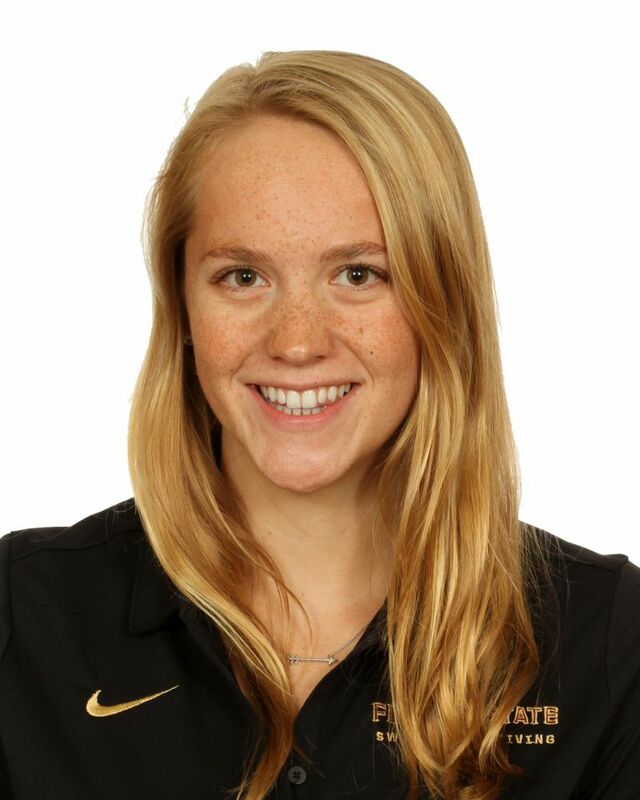 Born Dec. 19, 1996…daughter of Tim and Candice Purnell…is an International Baccalaureate Student and honor roll member at Stonewall Jackson High School…is a USA Swimming Scholastic All-American.